Purchased some movies from iTunes store but don't like iTunes player? No worries. DRmare M4V Converter will enable you watch iTunes movies on VLC or other non-iTunes players as you want. Wanna keep the rented iTunes movies forever on your computer? This tutorial will help you unlock DRM from iTunes movie rentals without any limitation. iTunes movies is limited to play on iTunes or QuickTime. If you'd like to watch iTunes M4V through your Media Player Classic Home Cinema, you can read this tutorial. Zoom Player has a lot of advantages like beautiful UD, powerful features, fast running speed etc. If you like Zoom Player, you can refer to this tutorial to get rid of DRM protection and use it to play iTunes movies. 5KPlayer media player can play M4V videos, but can't support iTunes DRM M4V movies. So, in this article, I will tell you how to make iTunes movies and TV shows playable on 5KPlayer. 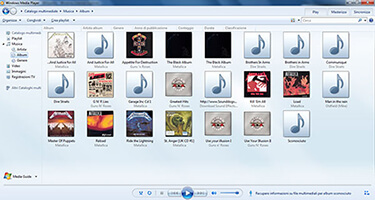 If you are tired of the old Windows Media Player, VLC player, PotPlayer will be a great alternative for Windows. You can check this post to find out how to unlock and play iTunes movies with PotPlayer. Like other media servers, Universal Media Server can't support iTunes videos directly. No worries! Please check out this tutorial to learn how to stream iTunes movies and TV shows to other devices via UMS with ease. Although Zune is discontinued for a long time, many users still enjoy using the Zune media player or devices, here I will offer the detailed tips to help you sync iTunes movies to Zune. Infuse is a versatile video player for iOS devices with multiple useful features, but you can't play iTunes protected videos. Why? Check this tutorial to find out the reason and the best solution to it. BSPlayer is perfect for playing videos smoothly even at low performance devices including Windows computers and Android phones and tablets. This tutorial will tell you everything you need to know about streaming iTunes movies on BSPlayer. MX Player is one of the most popular video player tools for Android devices for free. In order to improve compatibility of MX Player, this article covers the solution on making iTunes DRM M4V videos playable on MX Player freely. PlayerXtreme enables users to stream videos without downloading from any supported devices such as NAS, PC, WebDAV, USB cable, URL, Plex Media Server, Kodi etc., here I will take iTunes movies to show you how to do that. Emby is a powerful media player that can stream various videos to any devices except iTunes movies and TV shows. 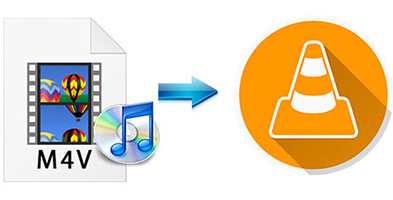 So, there is a tutorial for you to stream iTunes DRM M4V videos via Emby Media Converter. RealPlayer is one of the most popular players with powerful features, check this article to find out how to play iTunes videos on RealPlayer easily. Wanna watch iTunes movies on Windows Media Player instead of iTunes? No problem! This tutorial will show you the quick guide to remove DRM from iTunes M4V movies so that you can play the converted DRM-free iTunes videos on WMP easily. Here we are introducing the Kodi player and the solution to help you convert iTunes DRM-ed M4V movies for playing on Kodi/XBMC media player. GOM Player can play M4V videos, but not for iTunes DRM M4V movies. So, this article tells you how to watch iTunes DRM movies and TV shows on GOM Player easily.